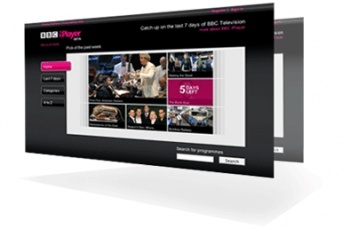 Discussions over bringing the iPlayer to the Xbox 360 have hit a 'stumbling block' according to sources close to the BBC. Whilst UK owners of PS3s and Wiis have been enjoying BBC content via the iPlayer, Xbox 360 owners have been left out in the cold, something that looks set to continue as discussions between the BBC and Microsoft about bringing the iPlayer to Xbox Live break down. The point of contention is that Microsoft want to make access to the iPlayer available only to those with Gold subscriptions, which is something that the BBC, as a public service broadcaster, simply cannot do. "[Microsoft] wants to ensure that only those paying for Xbox Live Gold accounts can access its additional content services ... This does not fit with the BBC's model and Microsoft will not budge at the moment. It is really frustrating for those involved on the BBC side who want to make sure iPlayer is rolled out on as many popular entertainment platforms as possible," said a source close to the BBC. It's difficult to see Microsoft changing its policy just to accommodate the BBC, and as that is what it would seemingly require to see the iPlayer on Xbox Live, I think I'm about ready to give this one up for lost.